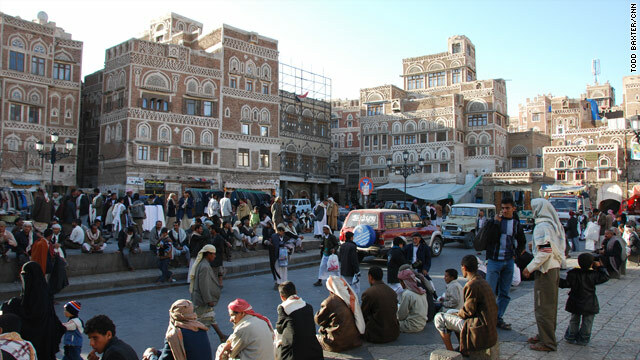 Locals go about their business in the old City of Sana'a, Yemen on January 7, 2010. Washington (CNN) -- The United States is closely monitoring a "credible threat" from al Qaeda in Yemen against the U.S. homeland, two senior officials told CNN. At the same time, one official Wednesday cautioned that the threat is fairly general in nature and does not have too much specificity -- and the second said this is not a case of "we connected the dots to something imminent." The first official did say, though, that the U.S. had gleaned that al Qaeda is already "adapting" to new U.S. security measures and that, in part, has raised the concerns. A third source said that in following up on accused Christmas Day airplane bomber Omar Farouk AbdulMutallab, officials came across some information relevant to aviation. A fourth source confirmed the information has to do with aviation and al Qaeda in the Arabian Peninsula (AQAP). The level of concern is "measurable" this source said, adding "There is more prickling of the neck hair." The U.S. has some information about time frame, this source continued, saying, "It is more definitive than it usually is." The U.S. does not have information on location, however, and the source would not say if officials have a name or nationality of the person or persons involved. This source pointed out that aviation security is rigid already and that no additional protective measures have been taken. But, the source says, "there is a lot of stuff going on in the next day or two" relating to analysis. Video: No more detainees to Yemen? Separately, one U.S. counterterrorism official would say only that, "No one believes the threat from AQAP ended on December 25, 2009. They continue to plot and plan." And another U.S. counterterrorism official told CNN, "Everyone is looking closely at AQAP in the aftermath of the AbdulMutallab attempt."